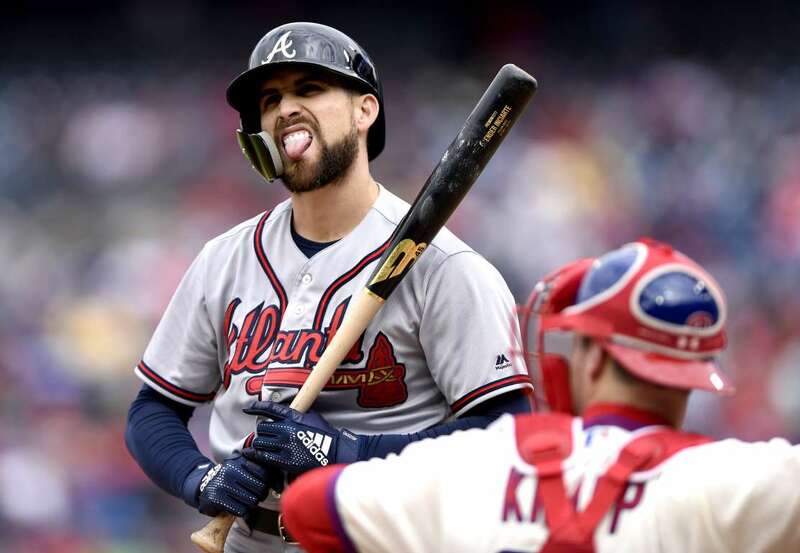 The Braves', Ender Inciarte, left, reacts after a pitch in front of Phillies catcher, Andrew Knapp, on Sunday in Philadelphia. The Braves won 10-1. Photos - U.S. Daily News: Oops!